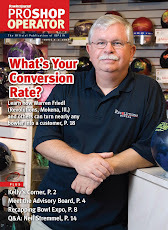 Information on Bowling branching into: Bowling News,The Professional Bowlers, Bowling Center Operation, Bowling Store Operation, and Coaching. WICHITA, Kan. – Jakob Butturff of Chandler, Arizona, once again finds himself one win away from his first major title after earning the top seed for the stepladder finals of the U.S. Open for the second consecutive year on Tuesday. Butturff will be joined in the stepladder at Northrock Lanes by Kristopher Prather of Plainfield, Illinois; EJ Tackett of Bluffton, Indiana; Dom Barrett of England; and Marshall Kent of Yakima, Washington. CBS Sports Network will have live coverage of Wednesday’s stepladder finals starting at 8 p.m. Eastern. The champion will take home the $30,000 top prize and coveted green jacket. Butturff shined in match play on Monday and Tuesday, averaging more than 243 and posting a 19-5 record to finish with a 13,452 total, including bonus pins, to lead Prather (12,900) by 552 pins. Prather had led for every round heading into Tuesday’s competition. Butturff displayed a similar performance leading to the top seed at the 2017 event in Liverpool, New York. He posted a 20-4 match-play record to lead the field by 617 pins but fell in the title match to Rhino Page of Orlando, Florida, 256-222. Page advanced to match play at Northrock Lanes this week and finished his title defense in 13th place with a 12,056 total. 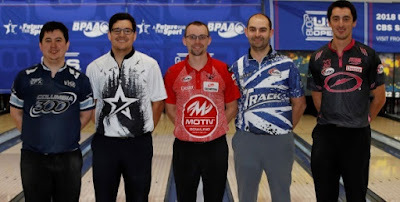 The 24-year-old left-hander now finds himself in elite company, joining PBA and United States Bowling Congress Hall of Famer Earl Anthony as the only bowlers since 1971 to earn the top seed for the stepladder finals in back-to-back years. Anthony led by 578 pins in 1979 and 551 pins in 1980 but was unable to come away with the title either year. Last year’s stepladder at Flamingo Bowl featured three left-handers, as Page and Graham Fach of Canada joined Butturff on the left side. This year, he’ll have the left side of the lane to himself and knows he can take advantage of it. Tackett earned the No. 3 seed with a 12,644 total, while Barrett (12,402) and Kent (12,363) will face off in the opening match of Wednesday’s stepladder finals. Prather is in search of his first career PBA Tour title, while Tackett is looking to add a third major, the Triple Crown and another PBA Player of the Year award to his mantle. Tackett captured the PBA World Championship in 2016 and PBA Tournament of Champions in 2017, and a win Wednesday would make him the seventh player in PBA history to complete the Triple Crown. His victory at the World Championship also helped him claim player of the year. Tackett’s the only player on tour this season to win three titles, and a fourth win would put him as the front-runner for the 2018 award. Barrett has six career titles, including the 2013 World Championship. He advanced to the stepladder finals at the 2015 U.S. Open but lost to top-seed Ryan Ciminelli of Cheektowaga, New York, in the title match, 236-223. Kent was the top seed at the 2016 U.S. Open but fell to Canada’s Francois Lavoie in the championship match, 228-194. Kent has four career PBA Tour titles and is looking for his first major. All competitors bowled 24 qualifying games over three days to determine the 36 players advancing to a cashers’ round. After eight additional games, the field was cut to the top 24 players for round-robin match play. The U.S. Open is the fourth and final major championship on the 2018 PBA Tour schedule and is conducted jointly by the USBC and Bowling Proprietors’ Association of America. Each round of the 2018 U.S. Open leading up to the stepladder finals was broadcast live on PBA’s online bowling channel Xtra Frame on FloBowling. 27 Years a Chicago Area Pro Shop Owner/Operator. International Pro Shop and Instructors Assoc. (IBPSIA) Charter member, former Secretary/Treasurer and 2x Member of the Board of Directors. Contributor to "Pro Shop Operator" and "Bowlers Journal International" Magazines, Former "Pro Shop Operator" Magazine columnist. IBPSIA Certified Technician, Coach - US Bowling Coaches Association member, (YABA, NBC, Ritger, USA Bowling-Bronze) www.revbowl.com. member International Bowling Media Association, Former Bowling Center General Manager (17 years).